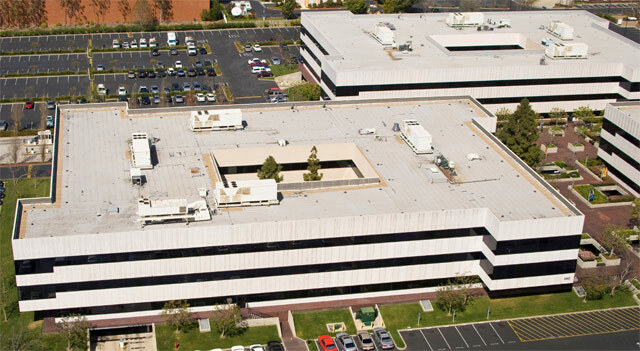 Companies that design roof coatings are in a constant battle with the elements when formulating a coating that can stand up to constant exposure to sunlight, extreme temperature swings, and water damage. By taking knowledge from other industries, roofing companies have historically tried to use both waterborne house paints and caulking to protect roofs. It wasn’t until the 1970s that elastomeric roof coatings were developed to specifically protect roofs from the elements. Many of the elastomeric roof coatings on the market are formulated with acrylic and styrene-acrylic water based emulsions, which add specific performance characteristics required. An elastomeric roof coating is a liquid that looks a lot like house paint that can be sprayed or rolled on both newly installed and previously existing roofs. The roof needs to be flat or low sloped, dry, and it is applied in a temperature range of 41° to 95°F (5° to 35°C). While it looks a lot like house paint and it has the same viscosity, the performance properties of elastomeric roof coating are quite different from house paint. One major difference is that elastomeric roof coatings are, as the name implies, more elastic which gives the coating the ability to expand and contract. This versatility can make it very durable during temperature changes because it expands in the heat and it contracts in the cold, meaning it is less likely to crack or break when the temperature changes. Another major difference is that elastomeric roof coatings are applied in thicker films than house paint. A layer of house paint has a dry film thickness of 3 dry mils whereas elastomeric roofing applications are usually have a dry film thickness of 18 to 20 dry mils and high quality layers can be up to 30 dry mils. What Performance Requirements Should an Elastomeric Roof Coating Have? One of the most important requirements of elastomeric roof coating is that they require excellent exterior durability. On top of changes in temperatures and natural elements such as snow and rain, roofs can also be affected by humidity fluctuations, seismic expansion, wind uplift and the vibrations of the building. Additionally, roofs also have to be able to deal with the occasional foot traffic. In order to handle all of those unique variables, elastomeric roof coatings needs to be flexible, yet durable at the same time. Another requirement that is important with elastomeric roof coatings is reflectivity from both infrared and ultraviolet rays. Elastomeric roof coatings are most often pigmented white or light colors to maximize the amount of solar radiation that is reflect, with high performance coatings reflecting 80% or more of the sun’s radiation. The reflectivity of the coating helps to keep the building cooler, which can reduce energy costs. Because of this requirement, elastomeric roof coatings also need excellent dirt pickup resistance in order to keep the coating white. The cooling effects of the coating would be diminished any time dirt accumulates occurs. Many elastomeric roof coatings are formulated with all acrylic or styrene-acrylic water based emulsion polymers. A 100% acrylic or styrene-acrylic emulsions will provide several benefits to help formulators develop high-performance elastomeric roof coatings. Emulsion polymers are able to provide the roof coating with better adhesion to a variety of substrates, low temperature flexibility, tear resistance, minimal water absorption, and dirt pick up resistance. Mallard Creek Polymers has products that are designed to be formulated for elastomeric roof coatings. To learn more about our acrylic and styrene acrylic water based emulsions for the elastomeric roof coating market, please visit our applications page. If you would like to have a sales representative follow up with you, complete our contact us form. 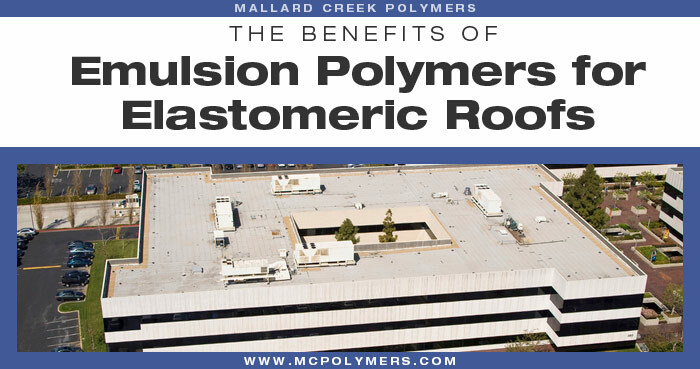 Mallard Creek Polymers provides emulsion polymers that are designed to meet the performance requirements for elastomeric roof coatings. If you have any questions regarding polymers for elastomeric roof coating and want to talk to an expert, please do not hesitate to contact Mallard Creek by emailing us or phoning us at 1-877-240-0171.  Have questions about Mallard Creek Polymers and what we provide? Contact one of our experts now! Mallard Creek Polymers and its service industries. Stay informed!